Peaceful & Serene. 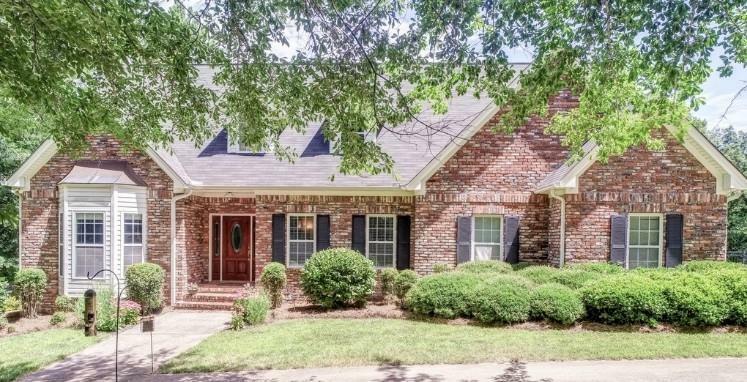 Enjoy Nature's Beauty In This Fantastic 4-Sided Brick 2-Story! Well Maintained. 5 Gorgeous Acres w/Sparkling In-Ground Pool, Hot Tub & Firepit! Greatroom w/Built-In Cabinets, Marble FP & Hdwds On Main. Owner's Suite w/Jacuzzi Tub & Sep Shower. Gourmet Kitchen w/Custom Cabs, Granite & B'fast Bar. Formal Dining Rm. Screened Porch PLUS Deck! 2 HVAC, Roof 7yrs. Lower Lvl w/Family Rm, Rec Rm, Bdrm, Bath, Exercise & Storage. 1-Car Garage PLUS 2-Car Garage On Main! Watch The Wildlife From your Private Paradise. Convenient To Airport. Great Schools!